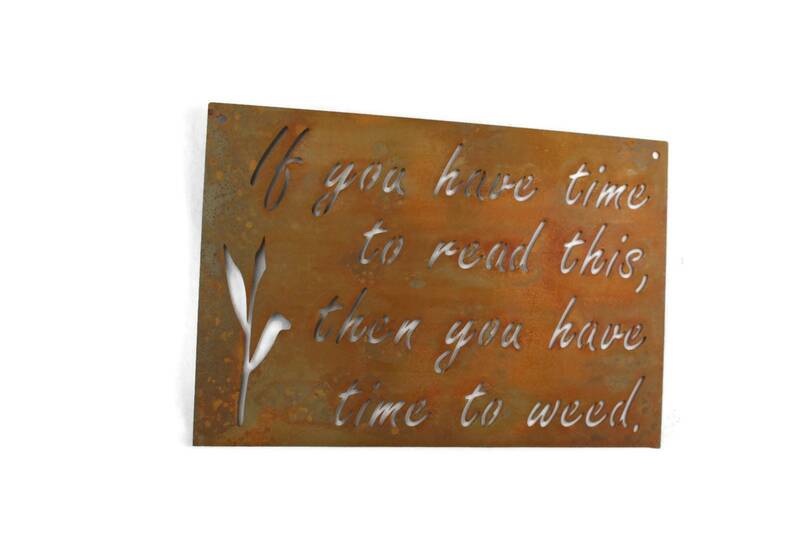 Metal rusted sign reads "If you have time to read this, then you have time to weed." 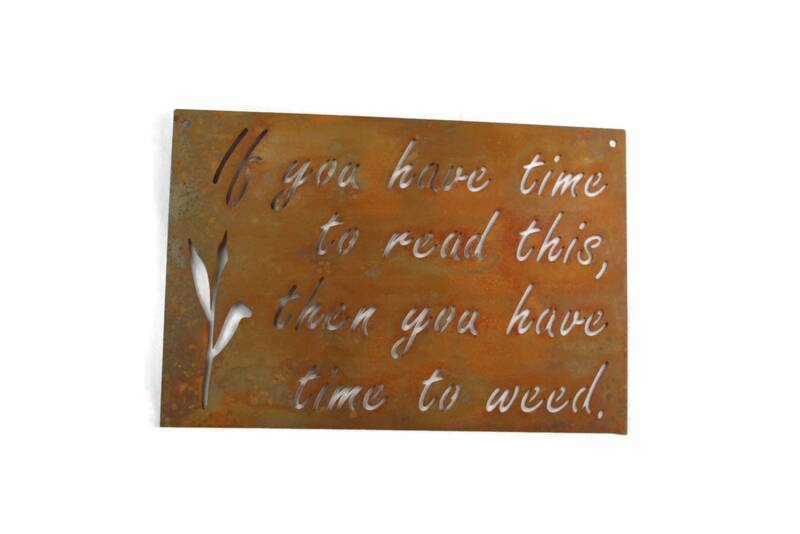 This sign was inspired by the saying: "If you have time to lean, you have time to clean." 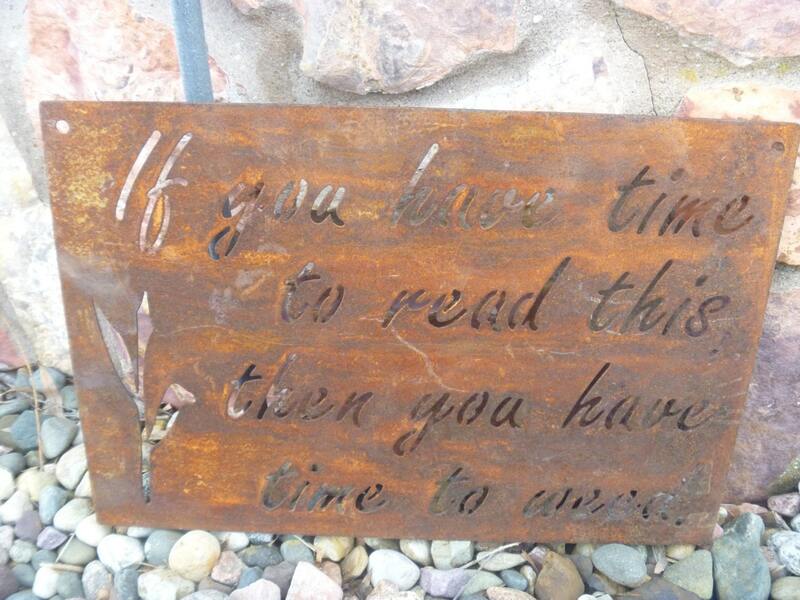 If your garden or landscape needs attention, make sure your guests know how to help! Great for kids too! 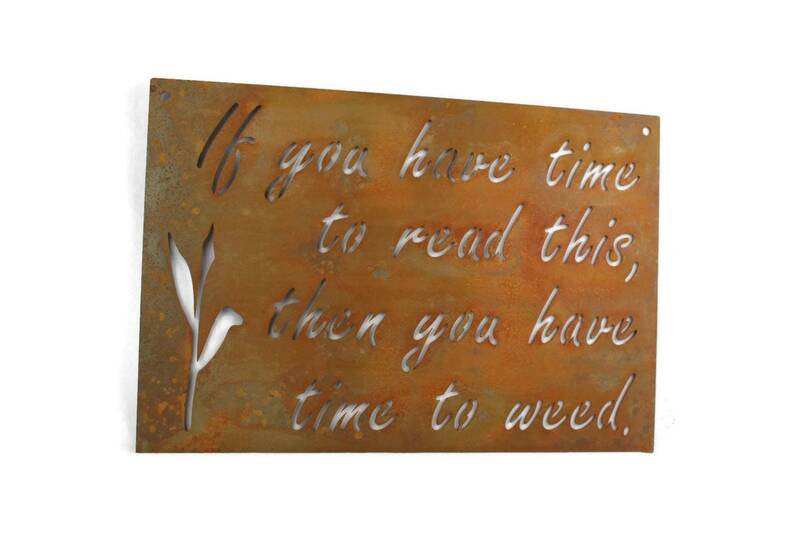 The rustic metal sign is 18" wide. It is cut from steel about as thick as a nickel. 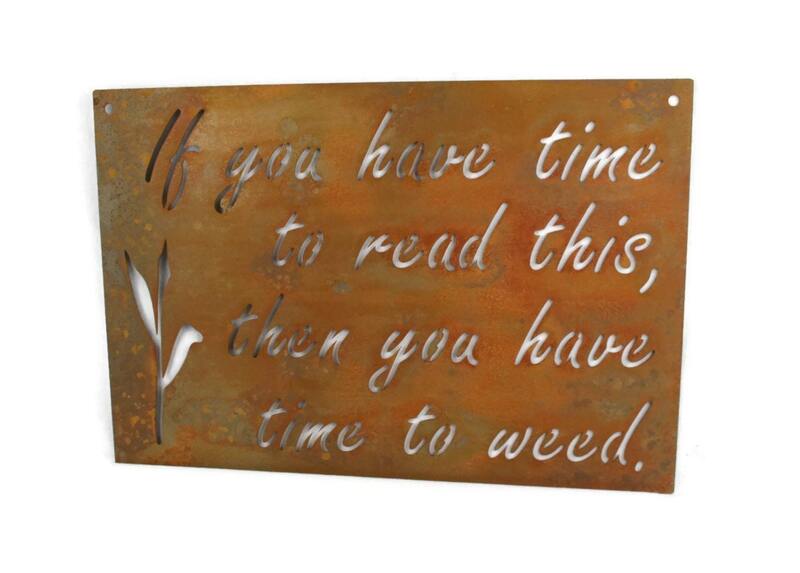 The sign has holes in the top corners, so you can easily hang it on your fence, the garden shed or string from a shepherd's hook. 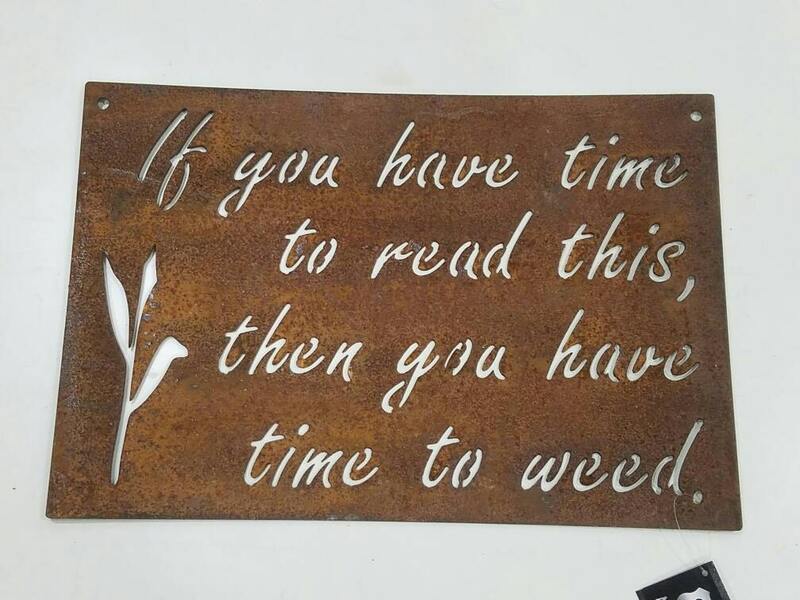 We hope you love our signs as much as we love making them! 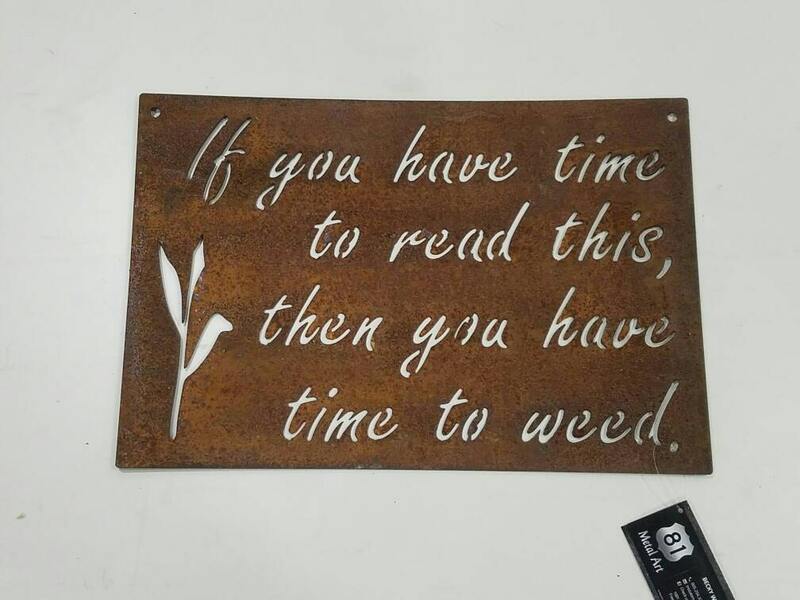 Amazing items, exactly as described, with insanely fast shipping - couldn't ask for a better experience, and my "weed garden" is looking much more festive these days!